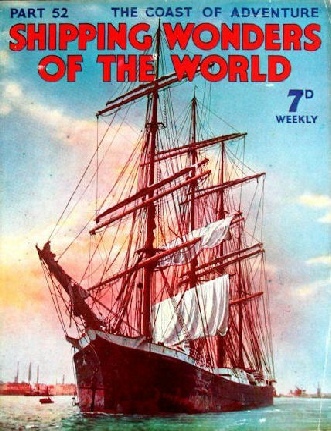 Part 52 of Shipping Wonders of the World was published on Tuesday 2nd February 1937. 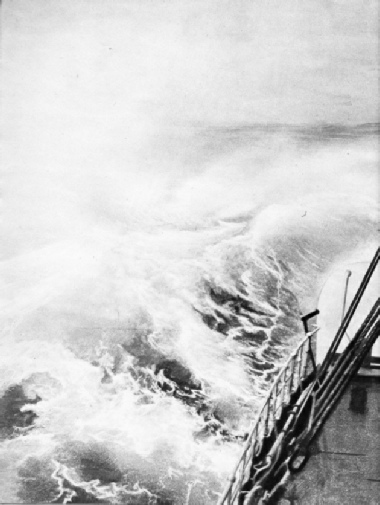 It included a centre photogravure supplement illustrating the Motion of the Ship at Sea. It formed part of an article with the same title. Since the Middle Ages Bremen has been one of the most important of German ports and its trade, with that of Bremerhaven, has increased to a remarkable degree in modern times. 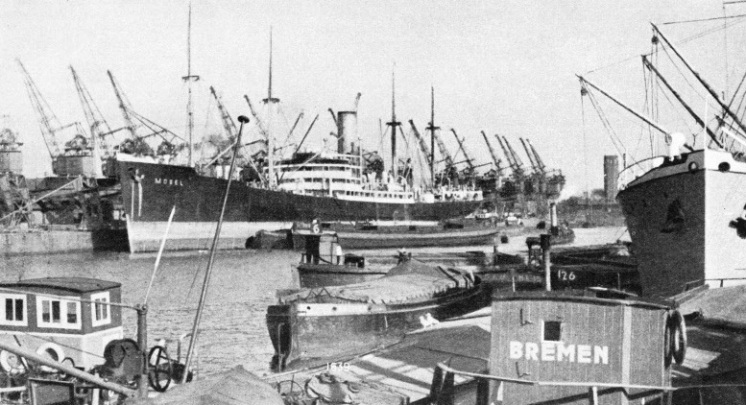 This chapter is by a new contributor, Herr H G Nipper, who writes on hi sown port of Bremen. This is the sixteenth article in the series on Great Ports of the World. In this chapter, Lieut.-Com. 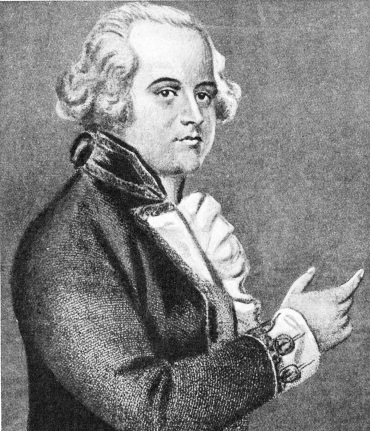 R T Gould continues the story of Bligh’s 4,000 mile voyage after the mutiny in the Bounty. The article is concluded from part 51. The behaviour of a vessel under the stresses and strains to which she is subjected by the seas is a matter which continually exercises the skill and ingenuity of naval architects. This chapter is by Frank Bowen. 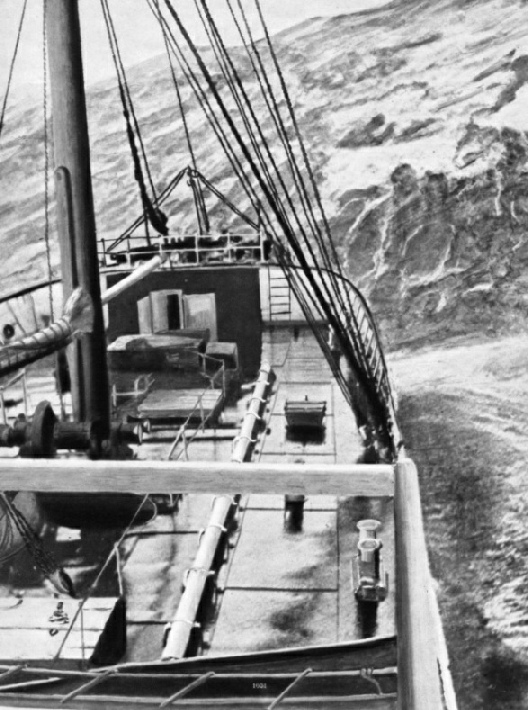 Including the dreaded Bay of Biscay, the Atlantic coast-line from Ushant to the Strait of Gibraltar has been the starting-point from which Bretons, Basques, Spaniards and Portuguese have adventured on countless expeditions of trade and conquest. This chapter is by Sidney Howard. 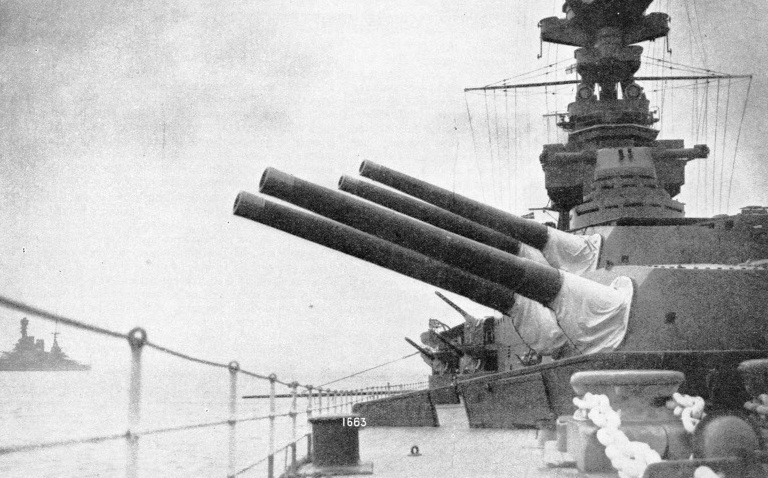 The developments of warship design has been largely influenced since the introduction of gunpowder by continuous alterations in the size, number and type of the naval weapons. This chapter is by Sidney Howard. It complements the one on Big Guns in Action in part 47. This is one of the most important vessels afloat with a horizontal diesel engine-used for main propulsion. 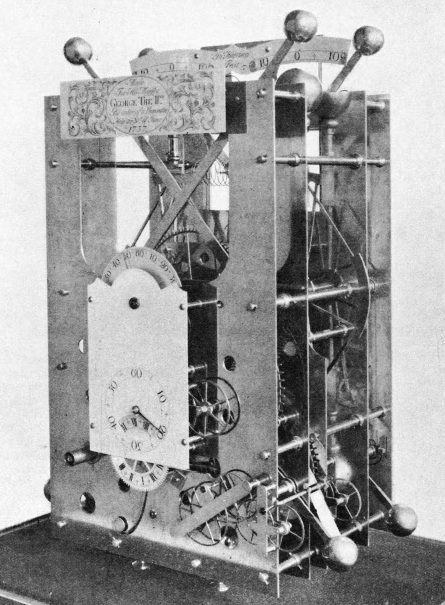 Horizontal prime movers were at one time an important part of marine propulsion before the development of the vertical reciprocating steam engine. The diesel engine so far has followed vertical reciprocating practice, but there are many instances in which the horizontal engine has big advantages, particularly where stability is a prime factor and weights have to be kept low. The ship illustrated below is the Electric Star, built in 1933 by the South China Motorship Building and Repairing Works for the Star Ferry Company, Hong Kong. She is engaged on arduous work between Hong Kong and Kowloon. From the drawings it will be seen that the ship is a double-ended single-deck unit, the ends of the hull being made up of castings which are in effect a combination of stern frames and stem bars. 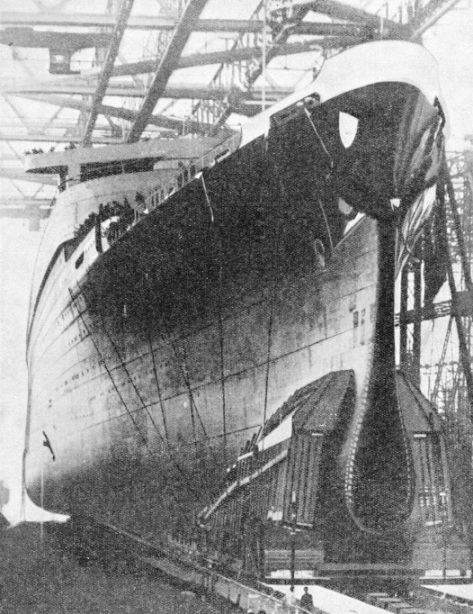 The stem bars are flush with the fore end of the balanced rudders which operate behind or in front of the screw according to the direction in which the ship is moving. 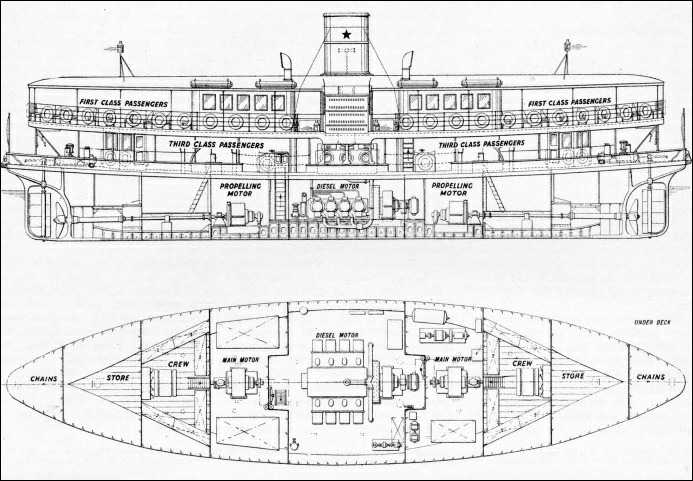 There are six bulkheads altogether so that the hull is particularly well subdivided against all possibilities of damage by collision. 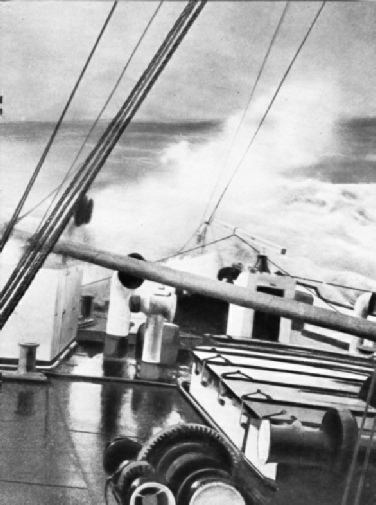 10 knots in service. 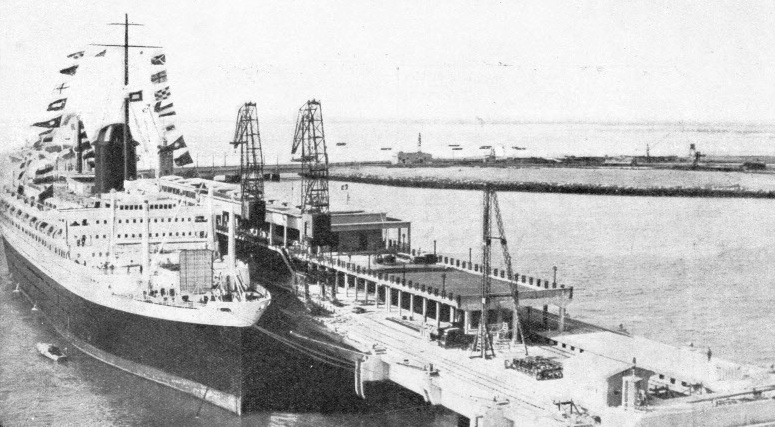 This is the fortieth article in the series on Merchant Ship Types. Although piracy has been stamped out in Western waters, the coastal waters and rivers of China are infested with pirates who are not deterred by the elaborate precautions which are nowadays made against attack. This article is by Frank Bowen and it is concluded in part 53. 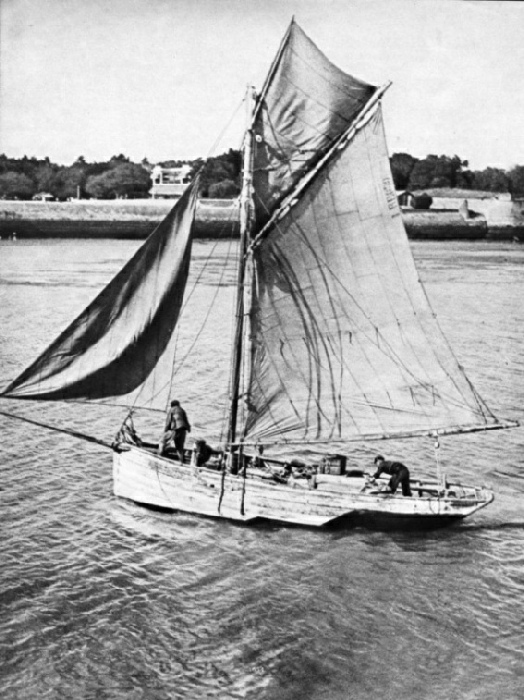 It complements the article on Gunboat Patrols in China in part 35.